Easter is upon us again, and it’s time to bake all the Easter desserts and Easter bread recipes to celebrate. You can find Easter breads all around the world. Most of them start with a sweet dough enriched not only with sugar or other sweetener, but with eggs, butter or oil, and maybe even spices and/or fruit. These breads pull out all the stops to celebrate rebirth, reawakening after a long, cold winter. I’m sure you’ll find some Easter recipes here you will love! 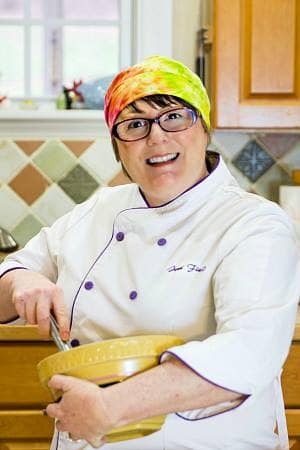 I also have you covered if you’re looking for fun Easter desserts to go along with your sweet breads. 1 Why Do We Make Sweet Breads at Easter? 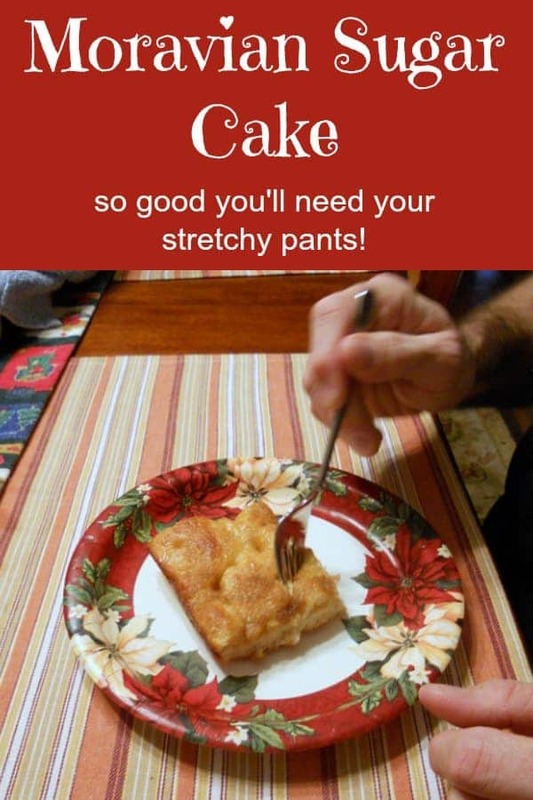 2.5 Moravian Sugar Cake, or As I Like to Call It: Dear Lord, Get This Out of My House Before I Have to Bring Out the Stretchy Pants! Why Do We Make Sweet Breads at Easter? A collection of Easter breads from around the world, all made with enriched dough to enrich your Easter celebration. Lean breads, or bread made with minimal fat and sweetener, are great year round. But Springtime seems to call for bread brimming with enrichment: butter, eggs, dried fruits, spices, cream cheese, etc. Fat speaks to richness and abundance, sugar to the sweetness of new life, and spices such as saffron or anise and dried fruits are treats we allow ourselves after a season of denial. 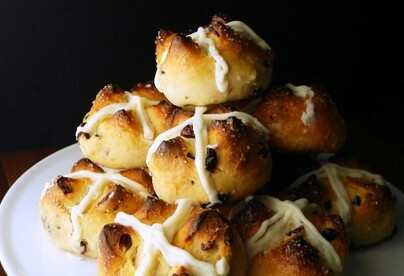 Whatever your reason for celebrating Easter with a tasty sweet bread, I fully support you! Hopefully you’ll find an Easter bread or three to enjoy with your family! A glorious Armenian bread for Easter called Choereg perfumed with mahleb and fennel. Glorious. 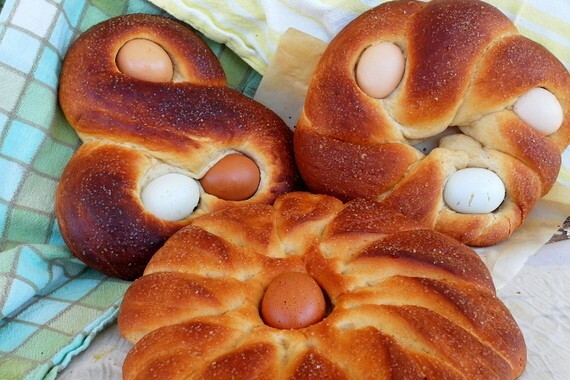 Similar Easter breads abound in that part of the world. Tsoureki in Greece, çöreği in Turkey. Choereg by any other name smells and tastes just as good! The addition of cream cheese to this sweet dough make these buns bake up with a tender crumb, more cake-like than bread like. Plus, they're studded with craisins, which is never a bad thing! Using the tangzhong method to make rich Cornish saffron bread. The shapes are not traditional--I just sort of went for it! Another version of Cornish Saffron Bread, this one with a sweet glaze in a traditional braid. 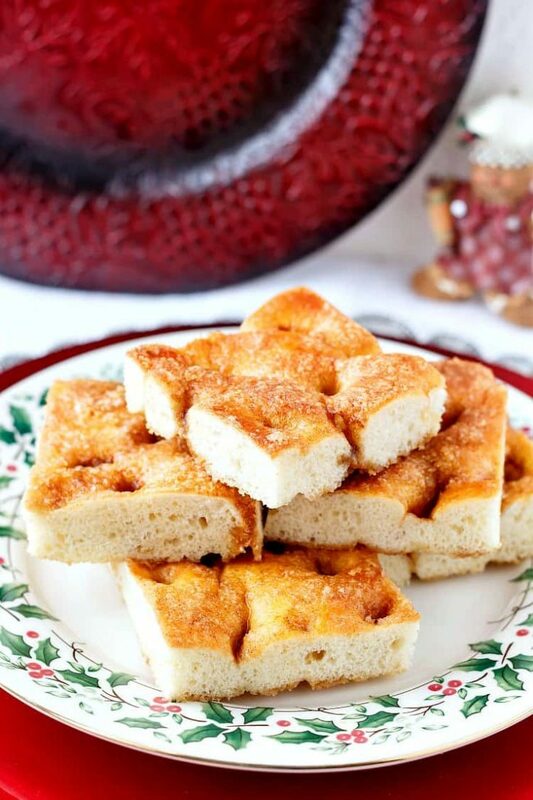 Moravian Sugar Cake, or As I Like to Call It: Dear Lord, Get This Out of My House Before I Have to Bring Out the Stretchy Pants! 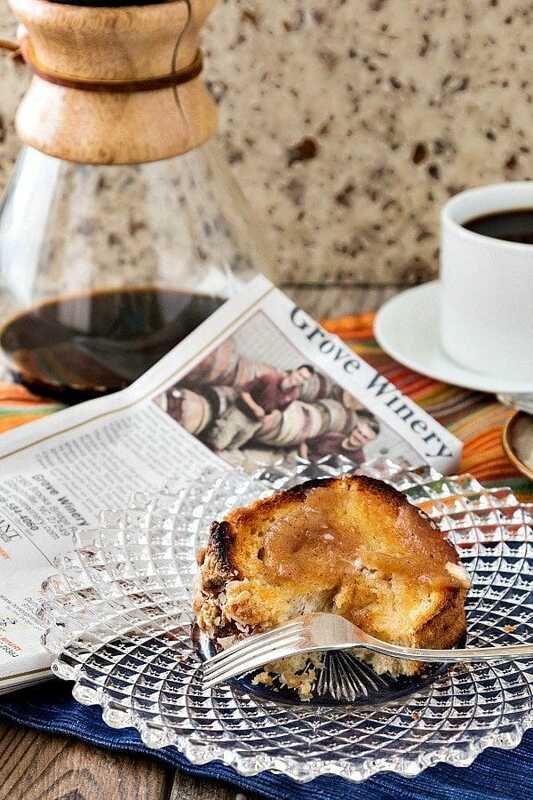 My original Moravian sugar cake recipe. I've gotten feedback that this bread is even better than the Moravian sugar cake at Dewey's bakery in Winston-Salem! My other version of Moravian Sugar Cake contains a bit more potato and a bit less sugar. Don't worry though. I make up for it with extra sugary topping! 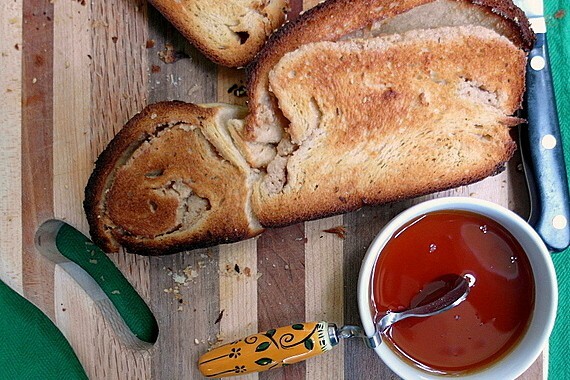 Talk about a bread loaded with deliciousness to celebrate the end of Lent! 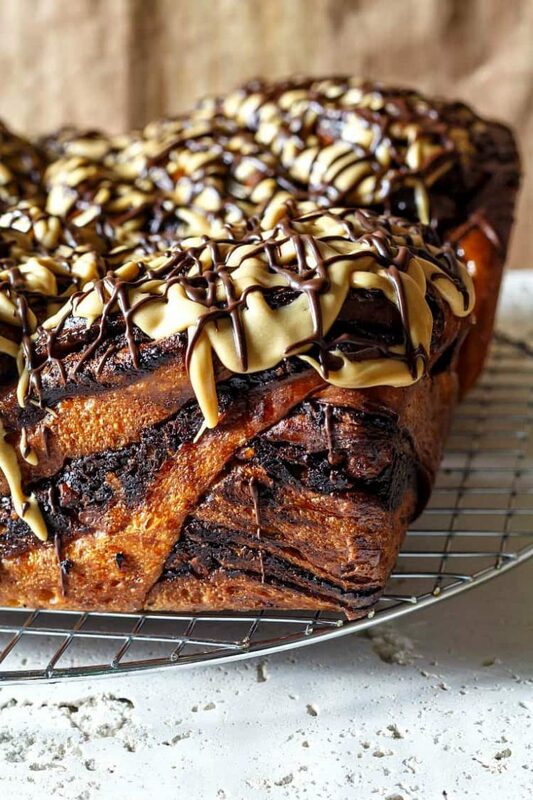 Chocolate, pecans, and two kinds of glaze make this babka Super Celebratory! 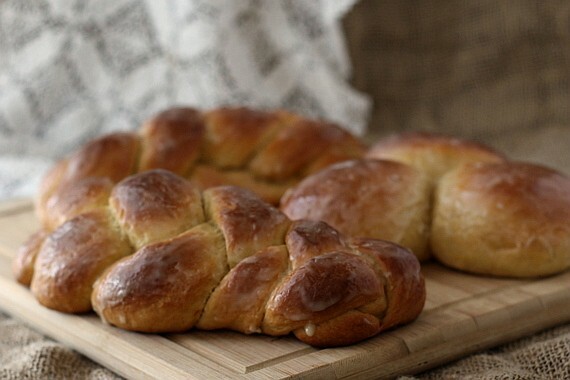 A gorgeous challah bread filled with a honey-sweetened tahini swirl. Yep. This generously sized yeasted coffee cake is pretty excellent and makes enough to serve a crowd at your Easter brunch. And there you have it friends. 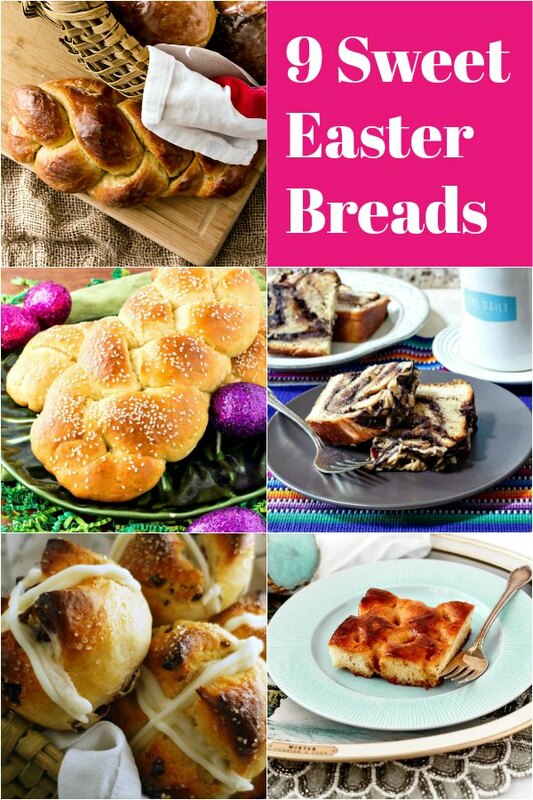 Sweet Easter bread recipes to make this year or any year. 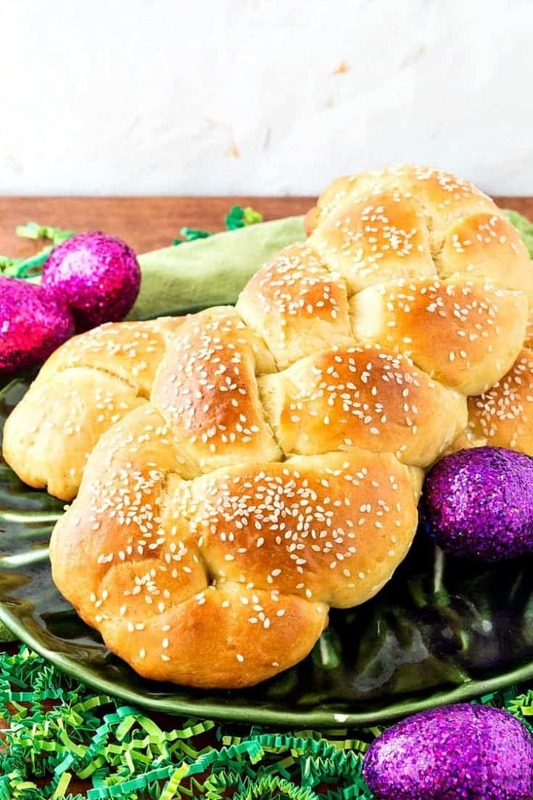 Whether you grew up with Italian Pane di Pasqua, Turkish Tsoureki, Hot Cross Buns from the British Isles or don’t have any specific sweet bread tradition in your family, I know you will enjoy these breads. Happy Easter, and have a lovely day.